Looe Key Sanctuary Preservation Area (SPA) is located approximately 5.5 nautical miles south of Ramrod Key and about eight nautical miles southwest of Bahia Honda State Park. A diversity of fish congregate here – parrots and surgeonfish on the north side; barracudas and jacks on top of the reef; grunts, butterflyfish, and angelfish on the reef crest. Looe Key SPA is located within the Looe Key Existing Management Area, and nearby the Looe Key Research Only Area. It is a popular dive destination for new and experienced divers alike. 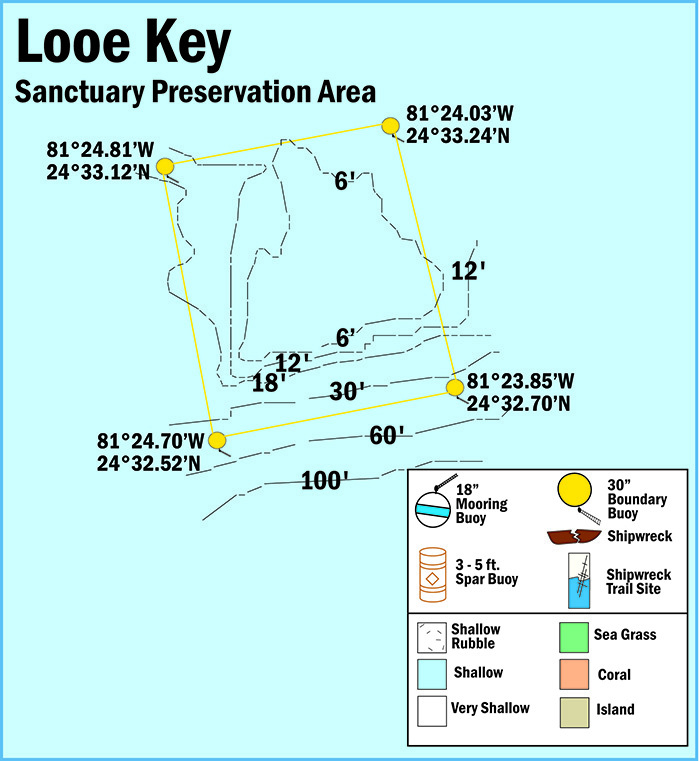 View a map showing the location of mooring buoys within Looe Key Sanctuary Preservation Area.